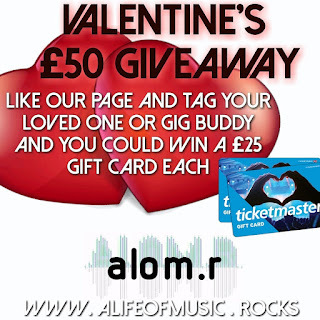 A Life Of Music.Rocks: Valentine's Day Give-away! We're feeling in a Loving mood today. 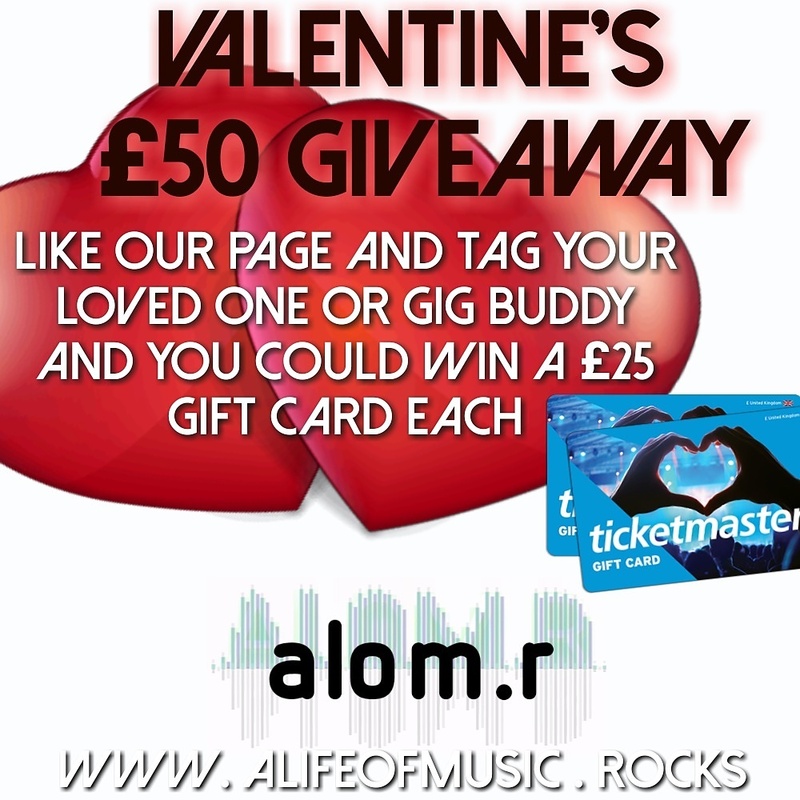 So we're going to give away two £25 Ticketmaster Gift Cards! All you have to do is Like our Page and Tag your loved one, or your gigging buddy, in this post. On the 28th Feb 2018 at 7pm, we'll randomly select one of the replies as a winner! Then send you & the person you tagged a £25 Ticketmaster Giftcard each, to go and see whoever you want!! - We'll need your email addresses to send them to, so be prepared if you win, I will need it to send you the e-giftcards. - It will be £25 to each of you, not £50 to one of you. - Give-away is running across Facebook, Twitter & Instagram. It'll only be 1 winner from all combined replies.